Anybody can give you a cheap price. Nobody can offer you the level of professional quality moving service we provide. We are committed to giving you the highest quality Residential/Commercial Moving Service at a fair price. We are Hawaii's choice for moving on a budget. That's us, KAMA'AINA MOVERS...for the best price in town. MOVE WITH US AND SAVE $$$$$. Low Rates.. AFFORDABLE & RELIABLE. Why Pay More When You Don't Have To. No Gimmicks - No Hidden Charges - Local - Honest - Affordable - Trustworthy. Schedule an appointment to move on a short notice, and we will call you right-a-way. 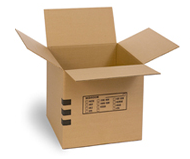 KAMA'AINA MOVERS will save TIME, which saves you MONEY. Our guys are well trained to safely handle all moving situations. Lowest Moving Rates Guaranteed! 100% Customer Satisfaction. In Honolulu call (808)275-7155. The best moving experience I've had. This is our first time using movers even though we moved numerous times before, but since my parents are getting a little older we decided to look for a company and we were not disappointed. The workers are super friendly and don't miss a beat. They brought two trucks and pulled everything very nicely. They worked for the whole two hours and took very good care of our larger items that needed to be moved. They took the time to wrap and make sure things would not be ruined. Very very very good people, glad we went with them. Thanks ! Ya'll have exceeded my expectations. Only an hour into the move and my two story house is nearly packed up. Your workers were nothing but pure professionals and they had some good jokes. K.C was very thorough with the process and gave good estimates of my stuff would fit in the truck. As a military member I will be recommending this moving company to my fellow brothers and sisters in arms for their household moves. Copyright © 2015 | Kama'aina Movers, All right reserved.